Brides, are you looking for fun, new, fashion to dress your bridesmaids in? You may be able to find what you’re looking for at the upcoming launch of Lela Rose’s new bridesmaid collection. 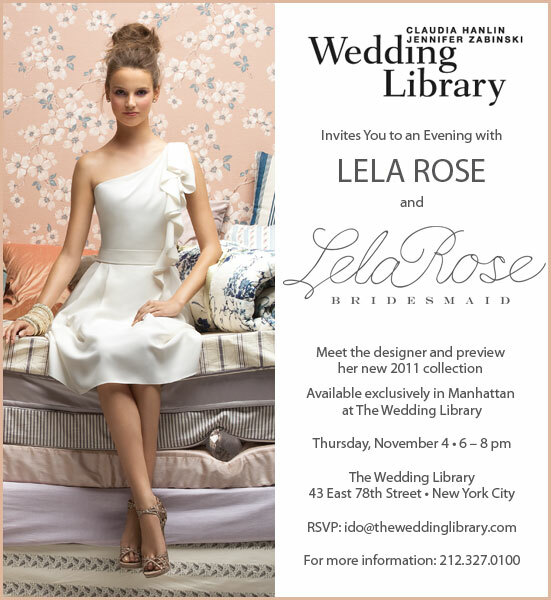 Head over to the Wedding Library [43 East 78th St, NY] on Thursday, November 4 between 6 and 8 pm. RSVP is required for this event. For more information, call 212.327.0100. Let us know if you’ll be in the crowd…we’d love to meet you.